This interactive Google map shows the path of the Total Solar Eclipse of 2017 Aug 21. Visit the interactive map. 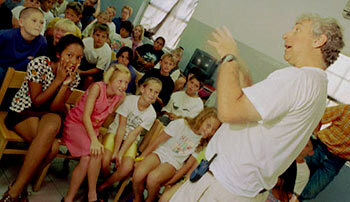 kidseclipse.com was begun in 1997 in preparation for the Total Solar Eclipse on Aruba that took place on February 26, 1998. It is fitting that we have revamped the site for the Great American Eclipse of August 21, 2017, which will touch the island with a partial eclipse of 54%. Totality will be in the Atlantic, well north of the island. kids eclipse.com provided unique coverage from the Total Solar Eclipse in Aruba working with Professor Jay Pasachoff of Williams College in Williamstown, Massachusetts. 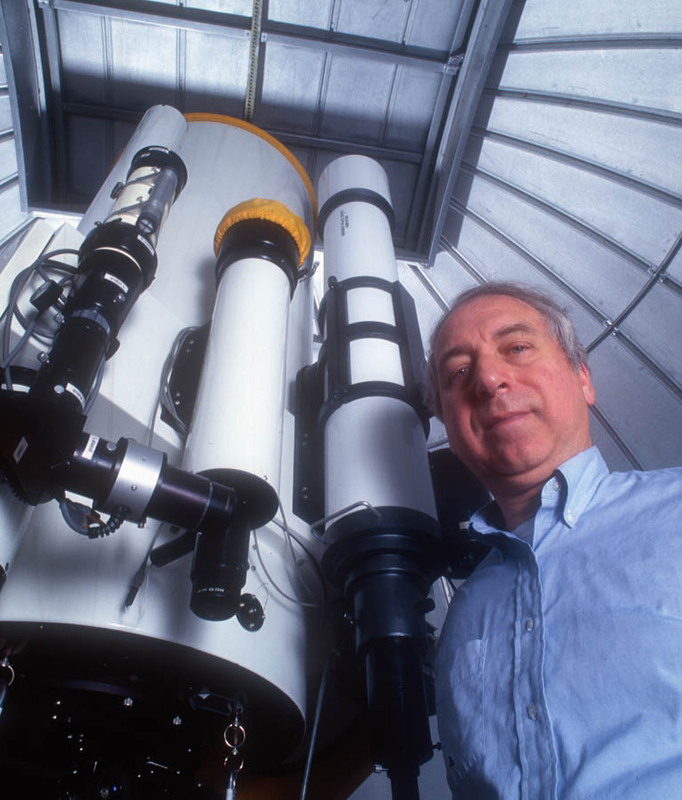 Professor Pasachoff specializes in scientific studies of the sun at the time of solar eclipses. The February 26, 1998 total solar eclipse in Aruba was his 26th solar eclipse. He viewed his first eclipse in 1959. He is the author of Astronomy: From the Earth to the Universe, 6th Ed., now in its 6th edition, a popular college text. He is also the author of the Peterson Field Guide to the Stars and Planets, now in its 3rd edition. Visit our store for recommended items for photographing the eclipse! At the International School of Aruba, students have been getting ready for the total solar eclipse for weeks. Doorways in the school are decorated with eclipse art. A space fair was held today with students making space ships from cereal boxes, straws, jars and other stuff from home. Jonathan Legro and Valentijn Vd.Sloot built an eclipse viewing spaceship with the control center made from solar eclipse glasses so you can watch the eclipse without putting on your glasses. But they both know they will have to wear their glasses when the whole school leaves classes to go outside to watch the eclipse. Their school is set on the spot with the longest amount of totality on Aruba. They will see the Moon in front of the Sun for 3 minutes and 45 seconds. The school is located in a part of Aruba named Seroe Colorado at the southern end of the island. Right behind the school is a large oil refinery (they make gasoline for cars!) owned by a company called Coastal. When the school first opened, the refinery was owned by Esso (now named Exxon) and they started the school for the children of their workers. Now the school is independent (on its own). People have been giving the school eclipse glasses so the children will all be able to go outside and watch the eclipse. They have been taught to only glance at the sun, not to stare at it, even with the glasses on. Once the Moon completely covers the Sun, they will take the glasses off and look at the total solar eclipse. Most of the other schools on the island are closing in the afternoon for the eclipse. All the banks and a lot of stores are closing to let their workers go out and watch the total solar eclipse. Researchers on the island, including Professor Jay Pasachoff, have visited schools to tell the students what will happen during the total solar eclipse. Professor Pasachoff told them not to be afraid of the eclipse, to wear their special glasses for the partial phases, and then to take the glasses off during the total phase and to enjoy the experience. There were some wild questions like “Will the eclipse make a tidal wave?” The total solar eclipse will not do that, it is no different from any other tide during the new Moon phase. All over the island of Aruba, people came out to the beach or to the pool shortly after noon to watch the eclipse. At first we feared the clouds would ruin the show. But at about 1 p.m. the sky cleared up. There was a lot of tension before the total solar eclipse as the scientists prepared for their experiments. For instructor Steve Martin, it was his first eclipse and he did not know what to expect. People were just amazed with what they saw. After putting on my special “eclipse glasses,” I stood on the sand with hundreds of other people. Then, we saw it — a little chunk appeared to be missing from the right side of the sun. It looked as if someone took a bite out of a shiny, yellow cookie. Slowly, the bite got bigger and bigger. Finally, at 2:09 p.m. the sun was gone! For three minutes, it was safe to remove our eclipse glasses. I looked up and saw something I will never forget. A big, black spot sat over the sun. All around the spot were things that looked like flames—the corona. The sky became almost as dark as night. Around the sun, you could see Jupiter and Mercury shining brightly. People cheered and you could hear fireworks going off in the distance. This was a moving, unforgettable experience. Slowly, the sun starting coming back. A few minutes after Aruba was plunged into darkness, the day returned.